I think it was Wednesday night around 8:42 when I started to feel like I'd well and truly lost the plot. That was the moment that found me holding a ginger ale-and-cinnamon-encrusted Elf on the Shelf by his face over the sink with tongs and vigorously shaking him. I'd been home sick all day with a horrible cold, the kind where as soon as they hear your voice, people start inching away and your sense of decorum erodes to the point that you're actually wiping your nose on the hem of your shirt or a dirty sock or whatever you can grab because you've long-since gone through all of your tissues and fast food napkins. I finally peeled myself off the sofa and ventured out long enough to get Ruby a sweater she needed for her school talent show and buy a gift for my work Secret Santa, and almost as soon as I got home, Georgia managed to spill a entire mug of ginger ale all over Joy Candy Cane Sugar Buttons, as well as her sister's comforter and most of the floor. In the course of "helping" clean up, Georgia touched the elf, and so of course s/he (the gender of Joy Candy Canes Sugar Buttons seems to be fluid; Georgia calls her elf by both male and female pronouns interchangeably for some reason) lost his/her magic. 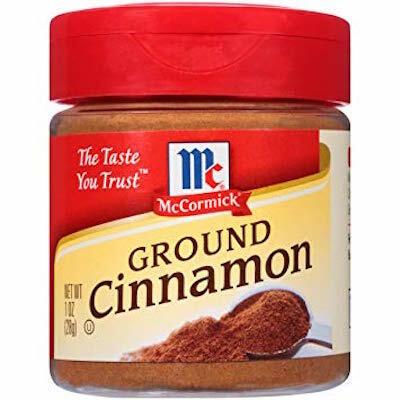 As per Elf Canon, cinnamon can restore magic powers, and so Georgia ran and got the cinnamon from the pantry and upended the container on to the poor soggy, sticky elf. There was cinnamon everywhere. I had been in the process of baking stupid-elaborate cupcakes for Ruby's school birthday celebration, but when I heard shrieking, I took the lemon curd off the double boiler and ran into their room. "OK, OK, this is fine," I said, struggling to stay calm. I threw the comforter in the wash, mopped the floor, and picked up Joy with tongs to clean him/her/them as best I could. I recited my mantra: "It could be worse. At least no one is puking." But it's still all OK. Yes, Christmas is nuts. Yes, the elf is a lot of work. Yes, making homemade lemon curd for cupcakes for middle schoolers is extreme. At the end of it all, though, that's what it's really all about, right? Going the extra mile to make birthdays and Christmas a little more special for your kids – even if it means looking completely ridiculous (and never getting the cinnamon entirely out from between the floorboards). May your holidays all be merry and bright!